John R. Knorr, D.O., has been a member of Shields Radiology Associates since 2002. 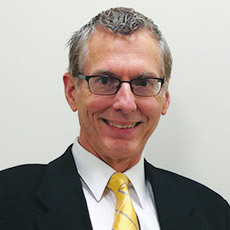 Dr. Knorr received his undergraduate degree at Truman University and his medical degree from the Kirksville College of Osteopathic Medicine in Missouri. He completed his internship at Normandy Osteopathic Hospital in St. Louis and his residency in diagnostic radiology at Metropolitan Medical Center, also in St. Louis. He completed a two-year fellowship in neuroradiology at University of Massachusetts Medical Center. Before joining Shields, he was an Associate Professor of Radiology at UMass Medical Center in Worcester. He formerly served as Medical Director and Fellowship Director at Central Massachusetts Magnetic Imaging Center and Neuroradiology Fellowship Director at UMass Memorial Medical Center. Dr. Knorr is a Senior Member of the American Society of Neuroradiology. He is certified by the American Osteopathic Board of Radiology, with a Certificate of Added Qualification in Neuroradiology. Dr. Knorr has published 20 peer-reviewed neuroradiology articles.